If you're looking for my Juggling Talk then please go to the page listing my Juggling Talk Requirements. This page has been trimmed down to exclude those elements specific to the Juggling Talk. This page tries to set out what I need and expect when I come to do a Mathematics Talk for you. I hope that the information here will answer most of your questions, but if there's anything missing then please Let Us Know so we can add it and save time for everyone. These guidelines are here to help you get the most from my visit, and they are genuine guidelines, not hard and fast rules. I need a computer projector. ... so the exact setup is important. My usual talks are aimed at audiences from the age of 14 and upwards. My experience suggests that children under the age of 14 will not get the full benefit. This is not a question of intelligence, but instead, of the ability to think more abstractly. I've met many amazingly bright 10 and 12 year olds who really just don't "get it," and similarly many 16 year olds who are thought of as average students who get very excited and engaged. As a say above, every group is different, and the requirements for a Juggling Talk are different and more specific. In general, a raked theatre-style venue is preferable. This sort of venue is designed for presentations, and it shows. I have spoken many times in school halls and similar, and they have been successful, but the difference is noticeable. This is not always an option, and I understand that. Most venues can be made to work. 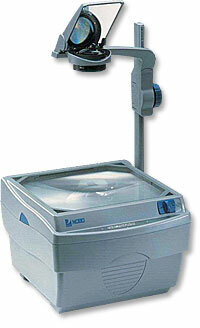 I now mostly use a regular computer projector for my presentation. Most people insist that they don't have, or can't provide, an old-fashioned OHP, and it's a lot of work maintaining two versions of the talk, so I now just go with the computer version. That being the case, I will need somewhere to set up my laptop, or whatever computer I'm using, so that I can get to the keyboard when necessary, but it is largely out of the way. We need to make sure that when I move about I don't mask the screen. That can also be awkward, especially in ordinary rooms as opposed to lecture theatres. Again, it's never been a show-stopper, but it does benefit from some thought beforehand. For some talks and/or workshops I use an old-fashioned OHP. In that case it needs to be set up so I can write, move about, write, move about, etc. As a result I need enough floor space to move around, but I need to be able to stand beside the OHP to write on it. I am right handed, which affects the side I prefer to stand on as I write. Your technical department won't believe that, and they'll try to sell you on the merits of the very new, digital projection systems. For my presentations, they are not as good. The lighting is not as critical for my general Mathematics Talks as for the Juggling Talk. It's important for the audience to be able to see the screen, but I also like to be able to see my audience so I can interact with them. Low lighting is fine, but complete blackness is less preferred. I live on the Wirral near Bebington station, and I usually travel by train when possible, by car when necessary, and by 'plane only when essential or genuinely cost-effective. Given these guidelines it helps me a great deal if a host can outline travel arrangements for me. I need to know the station to travel to, whether I will be picked up or take a taxi, and in the case of a taxi, where I need to ask for. I don't mind a 10 or 15 minute walk, provided the weather is reasonable. The more you organise for me, the easier it will be for us both. I will know what to do, and you will know where I'll be. I generally prefer to arrive some hours before I am scheduled to talk to avoid the panic caused by a late-running train or a traffic jam. I like to be at the venue some 30 minutes in advance to check the lights, the seating, etc., and think about any changes I might need to make to the talk. A heavy meal beforehand is never a good idea, but a snack might be welcome, depending on the time and journey. I can't eat spicy food such as curries or chilli, and don't drink alcohol at all. A meal afterwards is a great opportunity for more questions and discussion. If Rachel is accompanying me then she can't eat fish or seafood. I am not demanding about accommodation. All I ask is a quiet room, a comfortable bed, a good shower, and a nice breakfast. I am more than happy to stay with a host to help reduce costs. Expenses plus whatever you offer. Clearly one of the main questions is "How much do you charge? ", and yet this is the hardest question to answer. The reply I have settled on is given above: I will talk for you if you pay all of my expenses. I do not set a fee, but I will accept any extra money you offer. My expenses are modest. I usually travel by train and you can find out the price of a return ticket from Liverpool. I am willing to stay with people who offer, or in an inexpensive but adequate hotel. Ask yourself what you would require in my position, and you'll have a good idea of my needs. A lunch consisting of a sandwich, coffee and cake costs five or six pounds, a coffee is about a pound, and an evening restaurant meal can cost 10 or 15 pounds. Because I don't earn my living by giving this presentation I don't have to set a large fee. This is good, because many of the schools that have most need of extra activities such as this do not have the money to pay large fees. On the other hand, the sheer number of talks I do means that I often have to take unpaid leave to be able to fit into the often limited time available, so if I were only ever to be offered bare expenses I would most likely consider cutting down on the number of talks I do each year. As a guideline, offer me as much money as you think the presentation is worth, but not so much that you can't afford to invite me back. I have finally given up on the idea of doing paperwork. I give this talk around 90 times a year, and a quick calculation (literally on the back of an envelope!) showed that I was spending up to 3 or 4 hours per talk on emails and paperwork. I have decided that over 200 hours a year, five weeks of working days is quite simply too much. I ask that we agree a single figure in advance to cover all expected expenses and any fee offered. I will then present an invoice from Solipsys Limited for that all inclusive figure. It does not need to be paid in advance, or even on the day, but as always, prompt payment would be appreciated. payable to, a limited company. That means no tax need be deducted. You are not paying an individual! I recognise that not every organisation can work in this way, but not to do so causes me significant difficulties. Without being able to document fully all my income and expenditure through the books, my life becomes unreasonably difficult. So much so that this is now the only way I can do a talk. If it helps, consider the invoice to be for services provided, and the amount is the negotiated price for that contract.